Today John helps more than 1.4 million programmers every year to increase their income by developing this unique blend of skills. This book will show you how to ensure you have the technical skills your future boss is looking for, create a resume that leaps off a hiring manager's desk, and escape the "no work experience" trap. You'll see how to find and fill in gaps in your technical knowledge, position yourself as the one team member your boss can't live without, and turn those dreaded annual reviews into chance to make an iron-clad case for your salary bump. This book will show you how to become a specialist who can command above-market wages, how building a name for yourself can make opportunities come to you, and how to decide whether consulting or entrepreneurship are paths you should pursue. 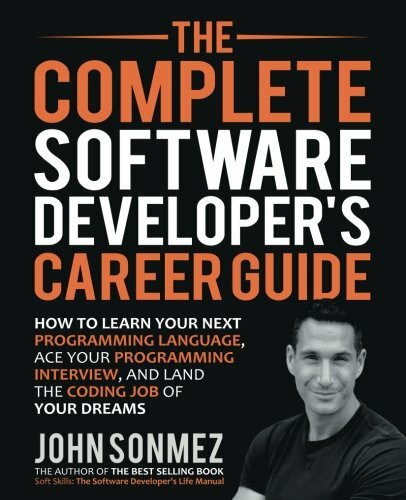 In this book you'll discover what it's like to be a professional software developer, how to go from "I know some code" to possessing the skills to work on a development team, how to speed along your learning by avoiding common beginner traps, and how to decide whether you should invest in a programming degree or "bootcamp."